I bought my first Datsun way back in 1994 before I even had a driver's license. 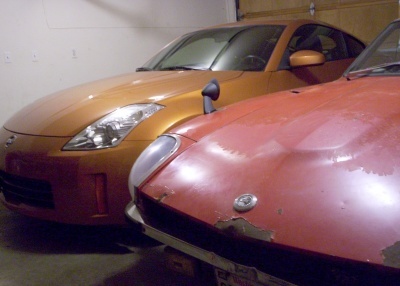 It wasn't until I decided to purchase a Z-car that my perspective on cars changed. 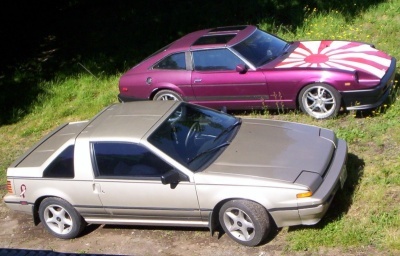 A couple years later sold the Datsun 310GX and brought home a 1982 Datsun 280ZX 2+2. For the first time I started to see cars as a hobby and interest instead of just basic transportation. I got on the internet back in late 1996 but didn't find much information on Datsuns. Zcar.com forum was around back in those days and I did a lot of reading to get up to speed on what was going on with Z maintenance. I already had a basic website at that time. Soon I started to upload some Datsun pictures after going to some local car shows in 1998. In 2005 I registered my own domain name and BleachGarage was born.